Aerial of Pyla Kokkinokremos (from S). Pyla-Kokkinokremos at the south-east coast of Cyprus was only founded a few decades prior to its eventual abandonment at the beginning of the 12th c. BC and presents hence an excellent case study to explore the impact of the so-called crisis years on the island. Since the settlement was never reoccupied and has an overall lifespan of less than fifty years, Pyla’s material culture can be considered a ‘time capsule’ for this LCyp IIC-IIIA critical phase. Because of its limited chronological occupation, its strategic position on top of a naturally fortified hill and the surprising ethnic mix of its material culture – with both imported Mycenaean, Minoan, Sardinian, Hittite, Canaanite as well as local Cypriot pottery – Pyla has attracted a fair deal of scholarly attention and plays a vital role in the discussion on potential Aegean migrations to Cyprus and the Eastern Mediterranean in the advanced Bronze Age. 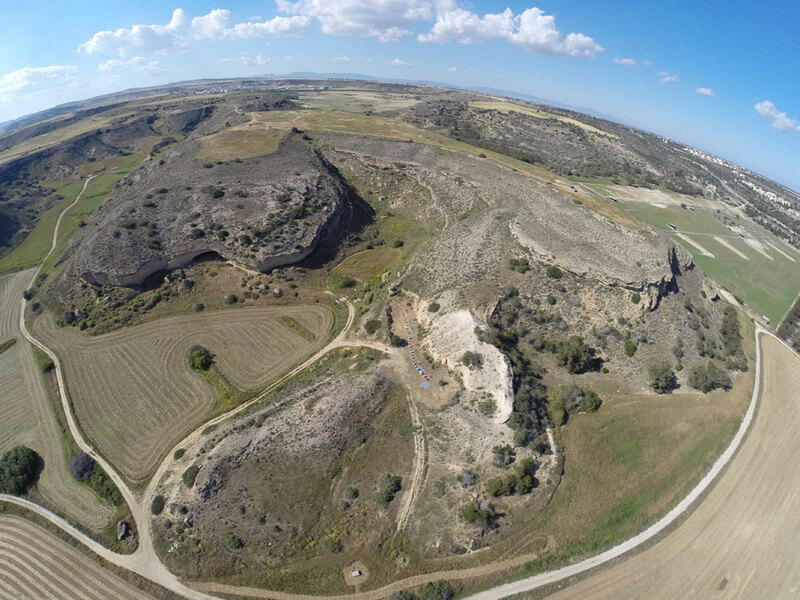 The new research project at Pyla, which started in 2014, is a joint venture between the Universities of Ghent/Leuven and Louvain (Belgium) and the Mediterranean Archaeological Society (Greece), respectively directed by Joachim Bretschneider, Jan Driessen and Athanasia Kanta. Three excavation campaigns have taken place and this lecture presents an occasion to look back at earlier and recent data.